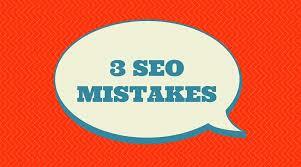 SEO is an essential blogging campaign if implemented in the right way. It is overwhelming but intricate. So, you need to decide “what to do” and what not to do” to drive your web page at the top of organic results. According to Search engine ranking factors study, it is clear backlinks is one the most important factor that can influence rankings. The three chief characteristics of a top ranking profile are the total number of backlinks, quality of backlinks, and usage of relevant anchor texts. Thus, you need to make sure that your link provides value to another website’s visitor and adds quality to the website content. Moreover, you will not have access to control what anchor text another site will use for your website. But the traditional way to do is by getting press in well-read and prominent sites. However, make sure you do not get back links from same anchor text over and over as it can hurt your rankings, or worse, get you penalized. A SEO expert says adding content to a website is a powerful strategy and essential part of your SEO campaign in 2016. However, it is necessary to add only add “useful content” that brings both engagement and relevance.It is important because regurgitated content is one of the factors of losing hold on rankings. Quick formula for creating an amazing and traffic worthy content is to use awesome headlines along with supporting images and stats. Keyword stuffing is one of the most unethical ways that can crash your search rankings drastically. So, if you want to rank your keywords, create separate pages for every keyword and optimize it accordingly. There are many SEO tactics that can be used to increase your rankings. However, you need to be careful while choosing them. Just understand SEO is a long process, if you stay committed in a right way, you won’t lag behind. How to select the best search engine marketing firm for your business?